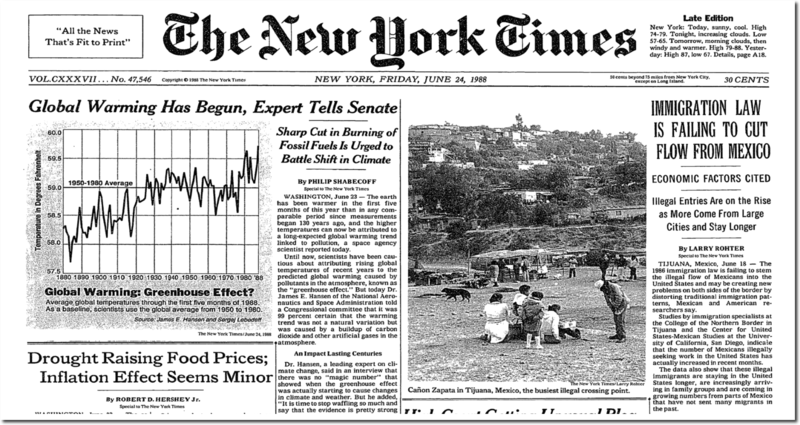 On June 23, 1988 NASA’s James Hansen told Congress that global warming had begun. One June 22, the night before his testimony, Hansen and Senator Tim Wirth sabotaged the air conditioner in the meeting room. we called the Weather Bureau and found out what historically was the hottest day of the summer. 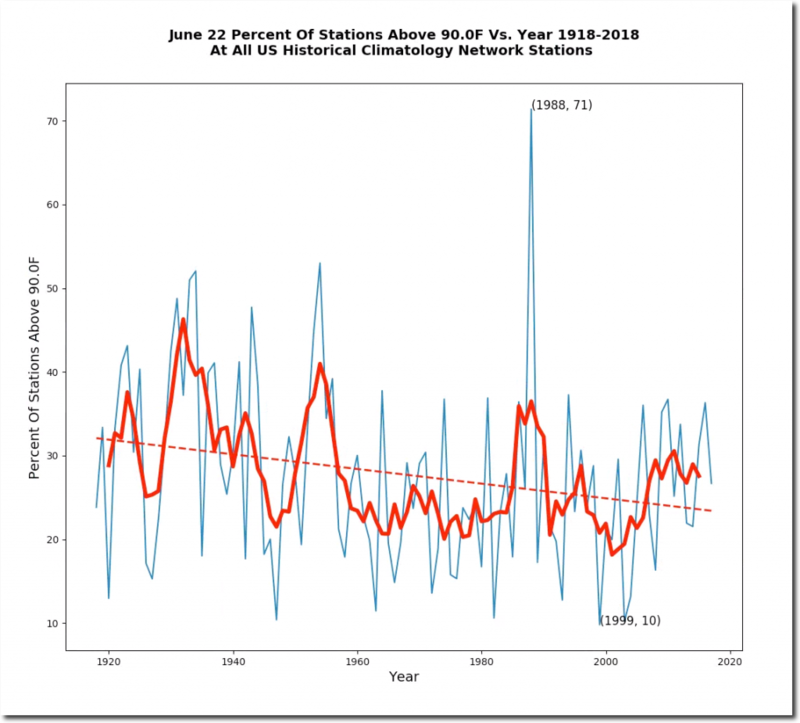 Well, it was June 6 or June 9 or whatever it was, so we scheduled the hearing that day, and bingo: It was the hottest day on record in Washington, or close to it. It was stiflingly hot that summer. 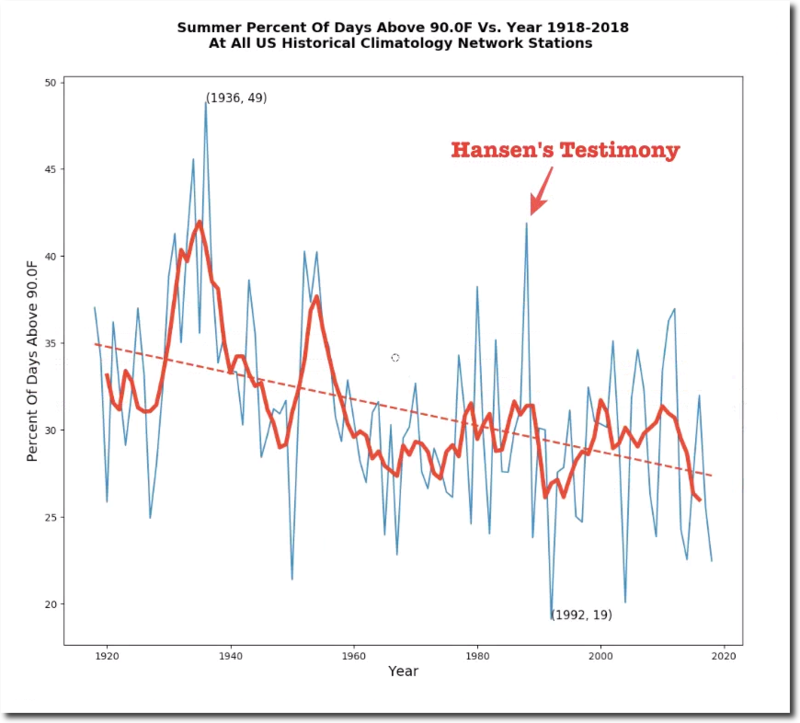 [At] the same time you had this drought all across the country, so the linkage between the Hansen hearing and the drought became very intense. 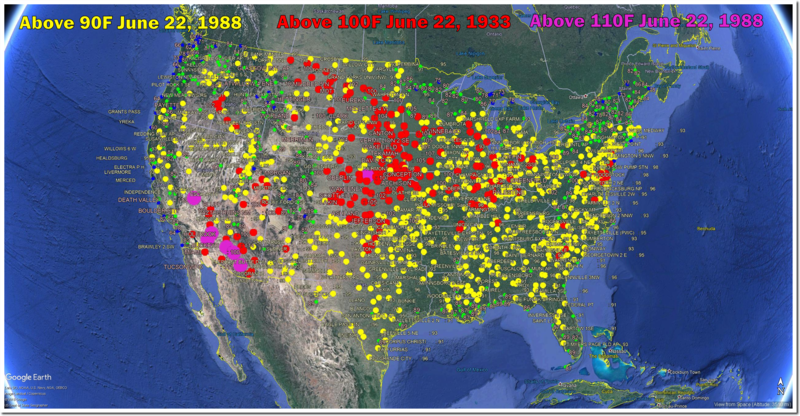 That day was by far the hottest June 22 on record in the US, with almost the entire country over 90 degrees and much of the country over 100 degrees.